All of the above are still a reality for most travellers, and for some time the writing has been on the wall for each of them. But I never expected to find the solution to them waiting for me when I walked into my Ibis hotel room in Singapore last week. 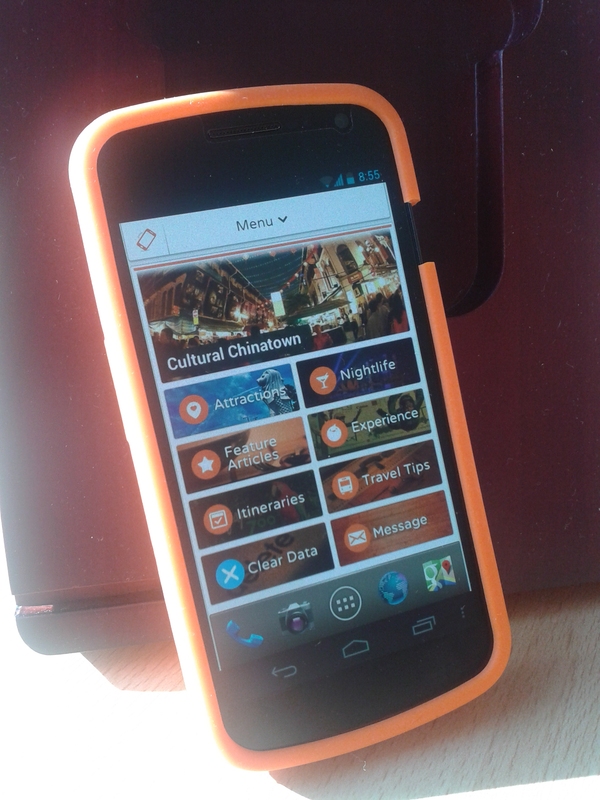 Ibis have partnered with Tink Labs to distribute Handy, a smartphone rental service for inbound travellers. The smartphones are available in each room and you can start planning excursions, checking maps and most exciting of all, making free local and international calls from the moment you pick it up from your bedside. Just like walk-in travel agents, tourism commentators have long pondered what the future of printed travel guides will be. I find that guides like Lonely Planet are great to read before departure to give an idea of what to expect, but since the smartphone is today my primary resource for answering any question under the sun, young consumers will increasingly only find real satisfaction and trust in a device, which they can read like the back (or the palm) of their hand. At this point I must make it clear that I have never had any contact or relationship with Handy, I was simply excited to check out this innovative new service. I was also quite surprised to find it in an Ibis hotel, at the lower end of Accor’s accommodation range. Handy is currently handing out the smartphones with partner hotels and airlines in Hong Kong and Singapore. Anyone can rent them from shops at airport arrival too. Essentially, the phone (a Google Nexus) offers everything your own smartphone can offer, just with more travel-orientated services. In terms of apps, Google Maps was an obvious favourite, as well as listings for museums, bars and restaurants (subscribers to Handy, I imagine). Other pre-loaded apps included Skype, Kayak, weather, news, local public transport and the Singapore Airlines app. Information on visitor attractions was well written and more comprehensive than the Lonely Planet guide I’d brought with me. When we wanted to check if the National Museum was open during Chinese New Year, we just tapped the number and gave them a free call. Clearly the device gives the producers great feedback on what travellers are searching for and reading, and gives Google phones some excellent product placement. The battery seemed pretty tough, and meant that I didn’t have to consume my own phone’s battery, or fiddle with Wi-Fi login every time I turned up at a bar or café. Over the last decade or so, museums and city tourist offices have flirted with iPod Touches, MP3 players and audioguides of every shape and size. Hundreds of city ‘tourist information’ apps are available to download but they don’t always work so well without Wi-Fi. As I see it, the only real way to avoid this frustration is to give the consumer something so similar (or even better) to his/her own device.